Welcome to the Event Support Page. 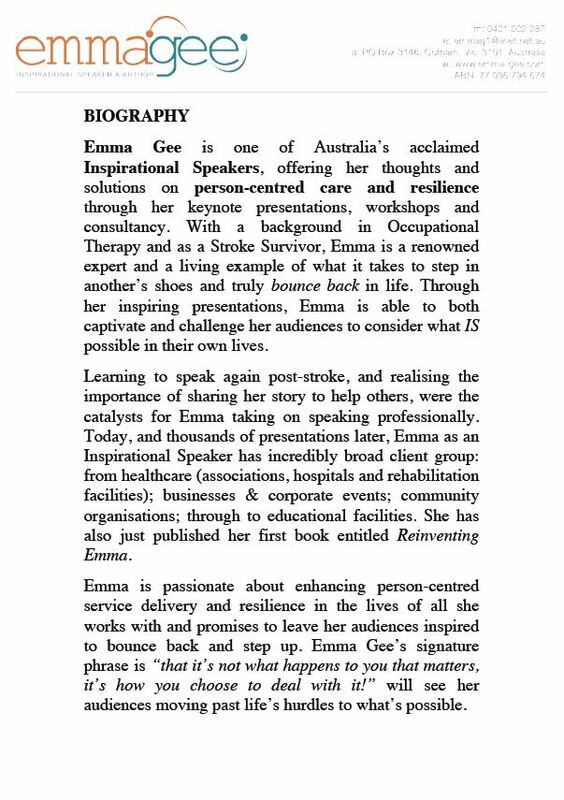 Here you will find information to assist you once you have booked Emma Gee’s Professional Speaking Services for your event. 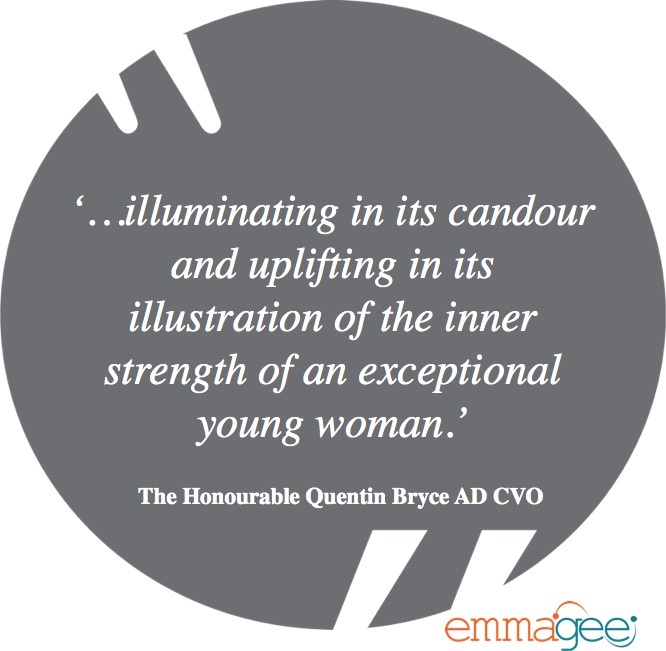 Click here to download this biography if you require information about Emma before the event. 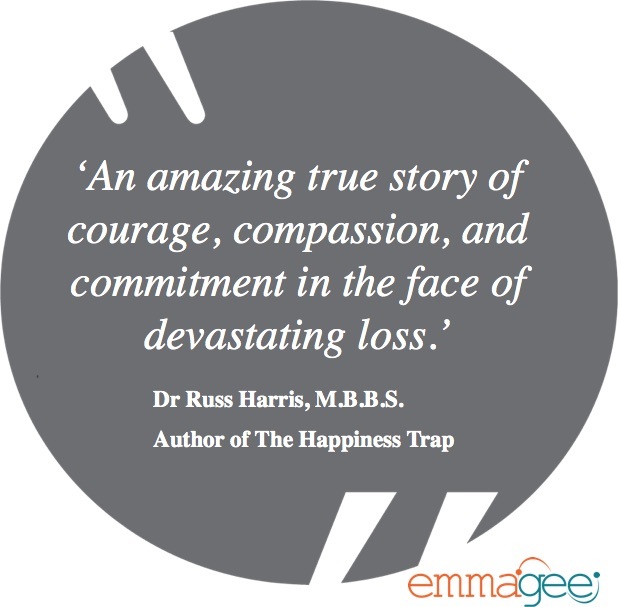 Click here to download information about Emma and her journey which led her to write her book Reinventing Emma. Please email Emma emmag1@iinet.net.au for a short introduction for your MC to introduce Emma to the audience. To see Emma’s photo click here (Headshot) (colour) or click here for black & white version. Click here for full length shot with frame. Click here for Emma working (colour) and click here for black & white version. Please email Emma at emmag1@iinet.net.au for an A/V list pertaining to your event.